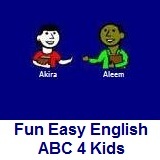 ﻿ Fun Easy English - new writing english alphabet for kids letter o. Hey kids, try writing the letter O.
I went to SeaWorld today and saw an octopus. An orange is good to eat. An oboe is a musical instrument.